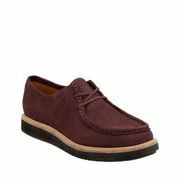 Clarks Outlet sale information, discount code and recent bargains. Posted and verified by our community of bargain hunters. Clarks Outlet is a part of the UK-based Clarks brand which is a trading name for C. & J. Clark International Ltd. The company was founded in 1825 by the brothers Cyrus and James Clark in Somerset, England. To this date, their headquarters can still be found here. The company boasts of a rich legacy. In fact, during the Second World War, its factory housed the missiles of the Allied Forces. Because of this, Clarks administer constant improvement and development of its products year after year. Each season, they launch new products but their ankle height Desert Boot is still the heart and soul of the company up to now. The iconic boot was designed by Nathan Clark, James’ grandson. It is famous for its unique crepe rubber sole that is typically crafted from calf suede leather. The design was based on the profile of an unlined suede boot manufactured in the bazaars of Cairo and worn by the British officers of the Second World War. Today, they have become a well-known international brand of shoes synonymous with comfort and reliability. They have more than 1,000 branded stores and franchises all over the world under its belt including the Clarks Outlet. Find the best and the latest Clarks Outlet sales, discounts, offers, voucher codes and discount codes here at Latest Deals! Each month our massive community of bargain hunters are always on the lookout to find the best possible savings to share to our members! The iconic Darby Desert men's shoe design gets a look into its history and origins in this behind-the-design video. Meet one of THEIR top men's footwear designers and a sneak peek into the inspiration and influences in our shoes. What does Clarks Outlet sell? Womens: From sandals, flat shoes, flat sandals, casuals, pumps, trainers, wedges, summer shoes and high heels that are made from hand-carved materials. Mens: Choose from their men’s collection of sandals, boots, casual, summer shoes, smart casual, trainers, black shoes, smart shoes, wide fit shoes, all style shoes and brogues. Girls: Your mini you will love their cute boots, sandals, trainers and more. Boys: Keep those tiny feet happy with your choices of boots, sandals, trainers and more. 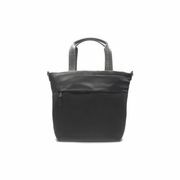 Bags: Choices of work bags, smart bags, shoulder bags, clutches and wristlets for women and canvas, rucksacks and leather bags for men. How do I contact Clarks Outlet? You can send them an email using their Online Contact Form. You can call them on 01458 899 904. 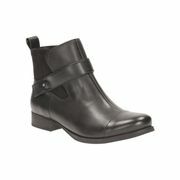 What are the delivery options for Clarks Outlet? They offer FREE – Limited Time Only delivery to any address of your choice in the UK within 3 - 5 working days excluding BFPO, PO BOX. Delivery Monday to Saturday, 8am-8pm (excluding bank holidays). Hermes will notify you through a combination of SMS, Email and push notifications of your allocated two-hour parcel delivery slot. If you’re not home, your parcel will be left in a secure location, with a neighbour or a card left for you to rearrange delivery. How do I return an item to Clarks Outlet? Clark Outlet offers FREE returns either via courier collection or drop off at a parcel shop. Detach your returns form found at the bottom of your despatch note. Fill in the details and enclose in your parcel. Attach your returns label enclosed with your order and take to your local Hermes parcel shop to drop off. Go to MyHermes, arrange your collection and print your returns label. Attach your printed label. If using the original package, ensure the label covers your address. Make sure to retain your proof of drop off/collection. They offer women's styles in whole and half sizes from 2 to 9, men's styles in whole and half sizes from 5 to 13 and kid's styles in whole and half sizes from infant 2 to junior 2.5 . If you need to know how Clarks shoe sizes correspond to foot length or their European counterparts, see their Size Guide tables.